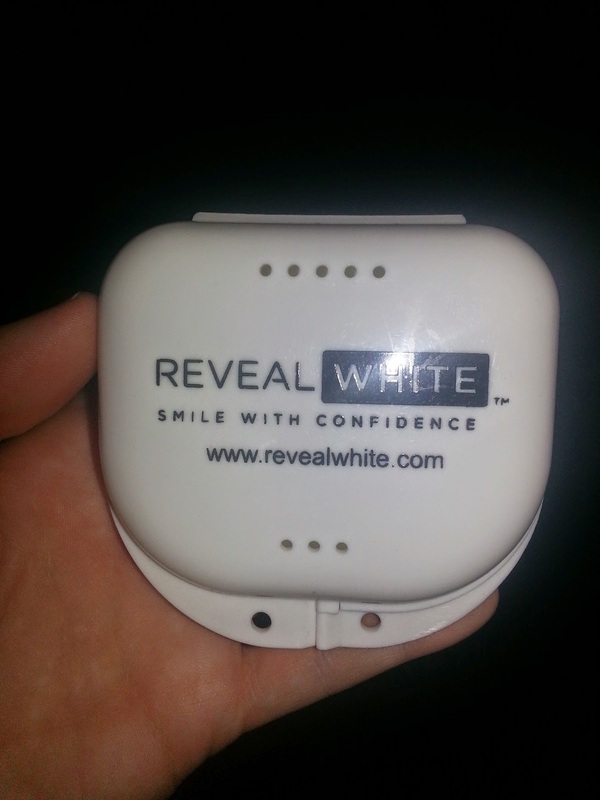 So I have a lot of good things to say about Reveal White right down to taking the impressions. Well it was pretty easy for me to take these I knew exactly what to do being a Dental Assistant for 10 + years. But what I think is really great is that for someone who doesn't know if they make a mistake they have extra impression material in the box. The only thing I would suggest is changing the top try it's just like the bottom one and was a little uncomfortable getting in and around the teeth so the full arch tray would be a lot more comfortable. Though with this try you use less material which is nice too. After the impressions were taken I sent them back in a prepaid envelope to have the trays made. desensitizing gel this gel is for any sensitivity you have after the whitening treatment. But this doesn't mean you will have that. The cute little case it came with. So then it came time to do the whitening it has been awhile since I used the syringe dispenser for the whitening be very careful it comes out pretty fast and you don't want to waste it. Me personally I put a little dot in each tooth I am planning on whitening. So when I put the trays in they were a perfect fit. I was so pleased. The only down side to this is the taste of the whitening gel it could have a better taste but I am willing to look over that to have my teeth whiter. I have basically already had my base color for my teeth from whitening before but to me my teeth look yellow and to others they look white. But I know the difference. This whitening system works really well. I will continue to use it and I totally suggest this to people that want to save money and get the same kind of stuff that they would at the dentist but for a cheaper price. The system I am using retails for $99.95 you may think this is a lot but compared to the 200.00+ you pay at the dentist I think this deal is really good. They have a few other options for you to choose from. The other system they have is the whitening pen retails for $29.95 and they also have the Quick Tray that you can basically mould to your mouth which retails for $49.95. Close up with Trays in my mouth. Ill post after pictures tomorrow on here so you can see what they look like. Would you like to win your own custom trays?? Enter the Rafflecopter Below for your chance to win!!! We want to offer your readers 25% off any purchase on Revealwhite.com! Use coupon code: mommyyof2babies at the checkout. Thanks for the great review! 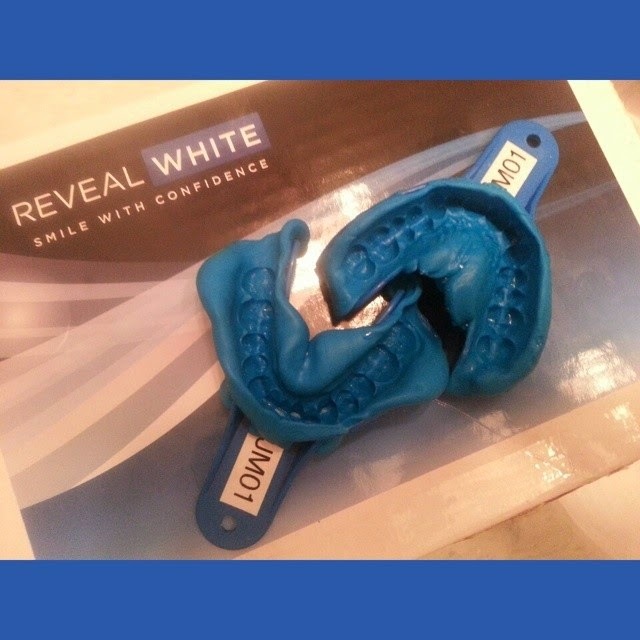 We are glad you are enjoying your custom made teeth whitening trays! No I haven't. I once used a sample of Crest White strips, but I didn't notice any difference. It was only one stripe though. I've tried Crest White Strips & one other product with a tray which I can't remember the name of. I couldn't tell any real difference. 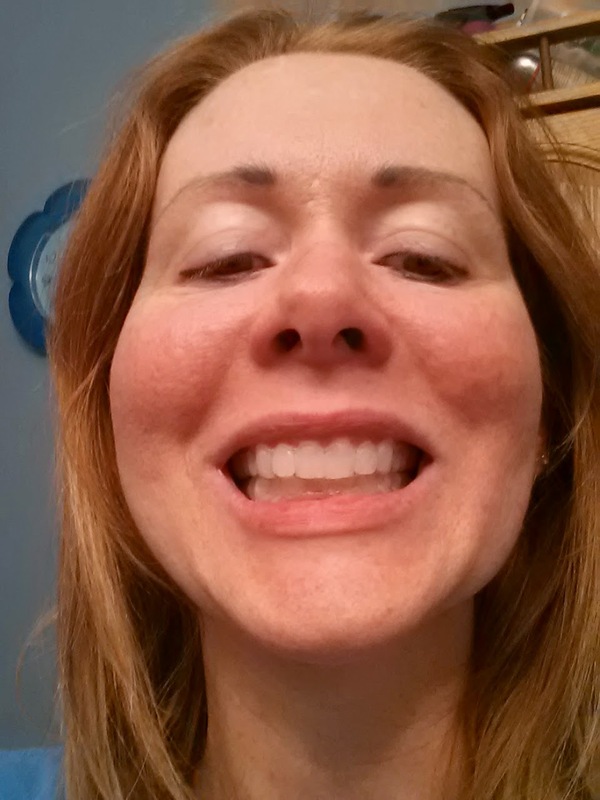 I have used whitening toothpastes, as well as Crest White Strips. If you don't use them regularly, you can't really see a difference. I've tried the crest white strips. It made a slight difference. 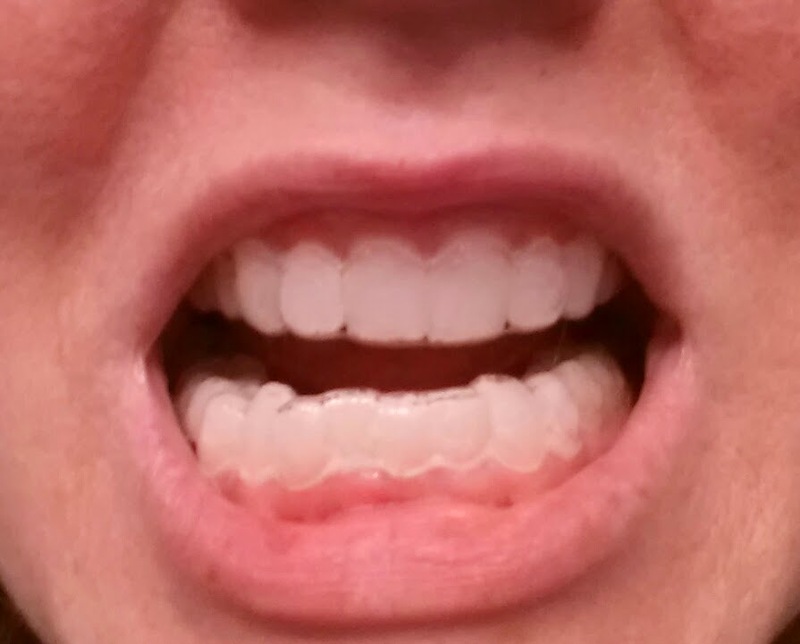 Whitening strips work, but only minimally. Plus they are messy and take a long time to work. 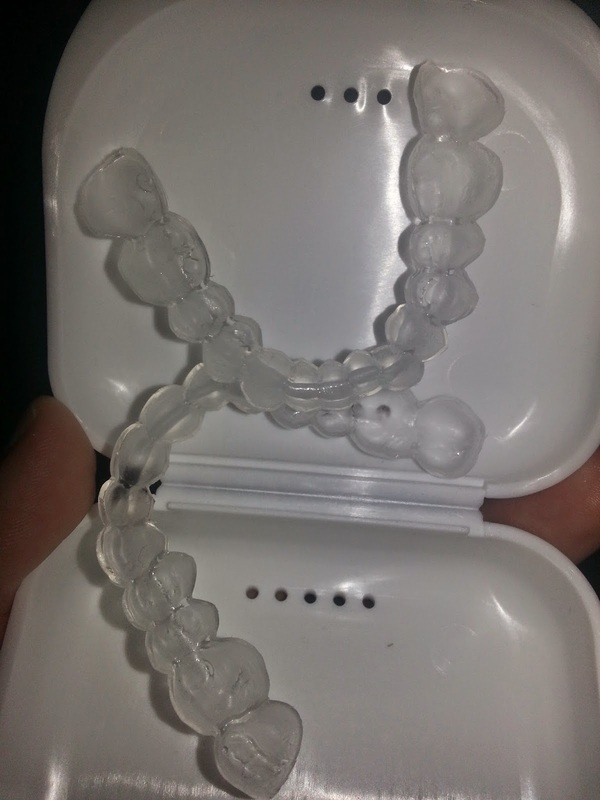 Also, the concentration is much lower than a professional whitening system like The Pro Trays reviewed. If on a budget, RevealWhite.com has products with professional strength whitening gel, for a price competitive to Crest Whitening Strips. Use the coupon, mommyyof2babies at checkout and get 25% off - you cant go wrong. Happy whitening everyone! We have been been using Dr. Bauer as our family dentist for more than 15 years (since he had an office), he is the best! We are very happy that we no longer have to travel to his office in Delray Beach but he can come to us wherever we are in Palm Beach County Fl. My family can now have their dental services performed at home.I agree that this at home service can be a bit more costly than a regular visit to the dentist. But with a handicapped son, my husband and I couldn’t be more appreciative of the convenience this service brings. Would definitely recommend him, for additional info visit his new website http://www.dentistcomestoyou.com/ or call (561) 310-6556. Yes I have, with whitening strips. It works but hurts! I've used a few different brands of whitening products and although I did start to notice a difference, it was never enough for me to make an ongoing commitment to them. They are pretty pricey!